Motivated to reduce complex problems to simple basic problems, the BOXmover technology was developed by Dipl.-Ing. Rudolf Hubauer. and the BOXmover tipping unit. 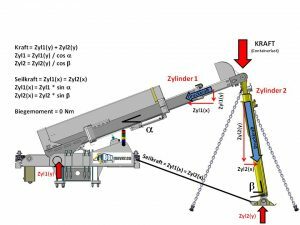 Benefit from these products and decouple your logistics from space, time and place! With the help of the BOXmover technologies you are not bound to any existing systems. The BOXmover technologies are open source logistics solutions based exclusively on the internationally established ISO standards for loading units. These ISO standards are not the limit of BOXmover technologies, but your particular advantage. The BOXmover technology uses only industry-compatible and standardized components that are available on the open market. Thus, you can use our BOXmover products without restrictions. 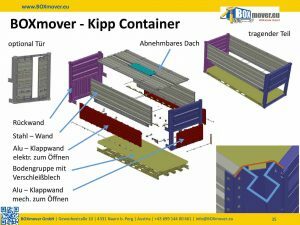 Other advantages include maintenance and vulnerable repairs – you can do this yourself – you are not dependant on BOXmover GmbH. This is ensured by the efficient construction method, the approach based on simple solutions and standardized components. With the help of BOXmover side loader you can benefit from an innovative load transfer when manipulating the containers. This is realized by using simple means. No technology was copied. Due to the design and use of standardized hydraulic cylinders as well as intelligent control, the BOXmover side loader does not experience any load torques. This load transfer concept is your advantage if you use the BOXmover side loader. The USP of the BOXmover tipping containerlies not only in its modular design, but mainly in the innovative side stand.These have a cavity that has been created by a rounding of the corners. This enables better, cleaner and more effective bulk material handling. Additionally, it ensures greater stability of the entire container. The BOXmover tipping unit is an innovative hydraulic tilting device, which is mounted on a conventional container wagon. This allows you to unload the BOXmover tipping container at its destination by tilting it sideways in both directions. The functional separation of the transport unit (container), manipulation unit (intermediate load carrier) and energy carrier (hydraulic unit) will sustainably reduce the costs in the transport chain. 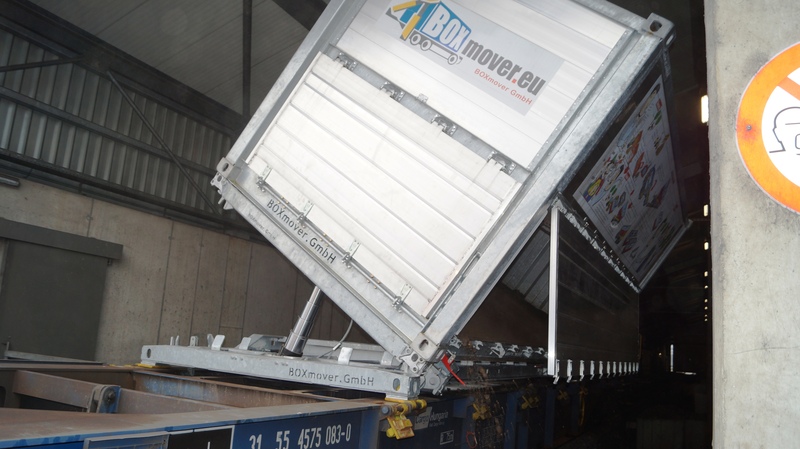 After work has been done, the BOXmover tipping unit can be stacked and stored together with the BOXmover tipping containers in a container depot at the terminal. 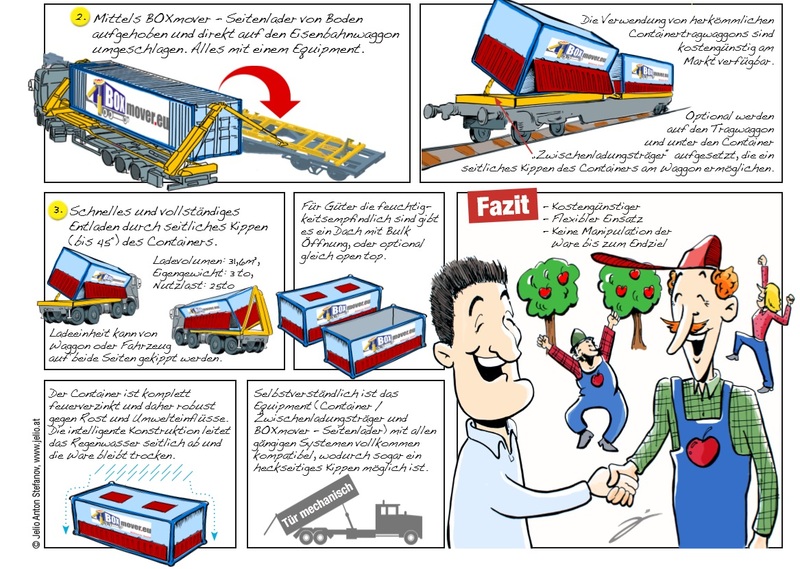 Be innovative and benefit from the complementary use of BOXmover technologies in existing transport concepts. See for yourself! Track the application areas of the BOXmover technology as well as the BOXmover products. 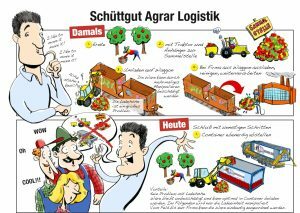 Develop your logistics with the help of BOXmover GmbH and thereby become an innovative BOXmover!